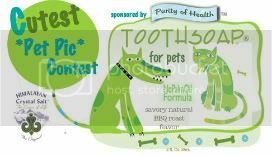 Did you know that Tooth Soap® (the internet's biggest sensation and most generous company) makes an all-natural "toothsoap" for your pet? Pretty cool, eh? Chief is hosting a Cutest Pet Contest... if you post your cutest pet picture, follow a couple rules and link up, you COULD WIN SOME. How awesome is that? After you ooh and ahhh my cutest pet, go check out Chief's blog to see how to play along!! See how easy this is? Play Along. You can win. P.S. For the record, I have two siamese cats. Siamese cats do not like to pose for pictures, much less acting cute. I realize I may not actually qualify for the prize. I understand. 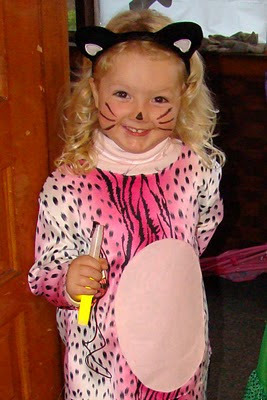 aw hehe :) She's adorable in that costume! Oh yeah, it doesn't get much cuter than that! She'd get my vote. If you don't win - I'll hunt that Chief down and judo kick her for you! AWE! She has MY vote! That is NOT fair. She is darling. She looks just like me.